How To Haul Cars Safely Using A Trailer? Besides taking care of obvious things like not using a 5 car trailer for hauling 6 vehicles, you also have to make sure that the equipment is suitable for the task that requires to be completed. You can do this by taking the weight, size and vital features of the cars into consideration. You may also have to take extra steps, if any of the automobiles that you are going to haul use aftermarket alterations or custom effects. 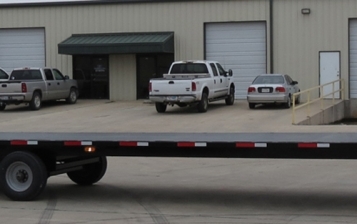 It is not prudent to make attempts for loading cars onto the trailer until you are aware of the methods & techniques for handling the equipment properly. In order to understand the function of different components of your trailer, have a detailed look at the decals, pamphlets and above all, the owner’s manual. In addition to that, you can check out instructional videos on Youtube. When it is time to move the cars up the ramp of the trailer, first thing that you need to do is keep the cars, your trailer and the truck in one straight line. The truck must be hooked to the trailer effectively before you begin with the loading process. Follow the directions provided in all instruction manuals meticulously. Prior to beginning with your hauling journey, check whether the trailer lights are functioning properly or not. Also, analyze the pressure in the tires of your tow truck and trailer. When driving on the road, brake early at the signals. Lower your speed when approaching rough road conditions, expressway exits, downgrades and curves. Want to buy a top-class trailer for your car hauling tasks? Then have a look at what Infinity Trailers can offer you. 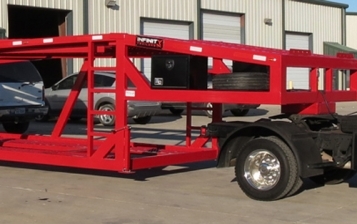 There is a wide range of heavy-duty 4, 5 and 6 car hauling trailers available with us, and we provide financing options too. If you liked this post, then don’t forget to leave your feedback in the comment box below.